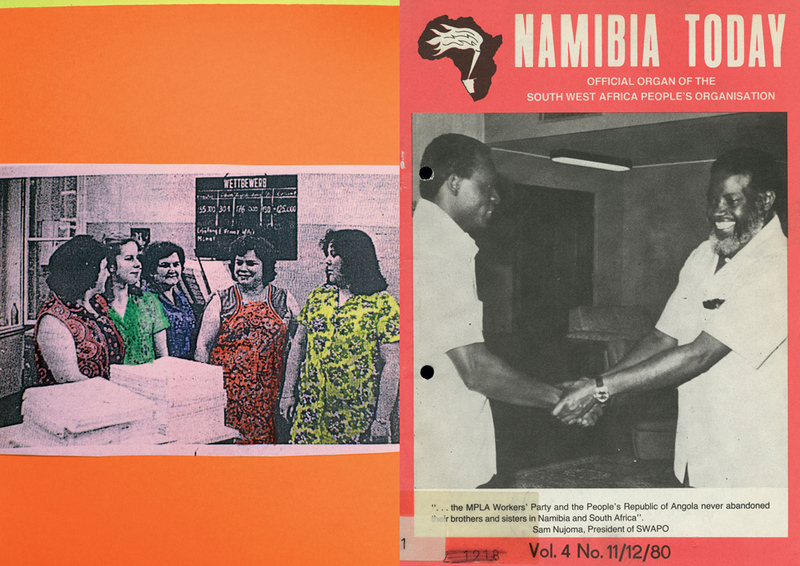 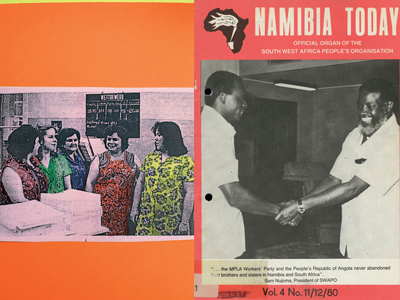 The SWAPO (South West Africa People’s Organisation) Liberation Movement fought for Namibia’s independence from South Africa from 1960 to 1990 and has governed the country since then. 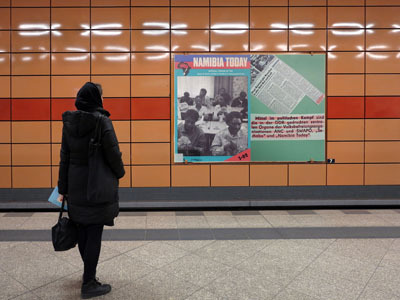 In a series of billboards, the artist pays special attention to the period between 1980 and 1985 when the English-language journal Namibia Today was printed by Druckerei Fortschritt in Erfurt in the former GDR. 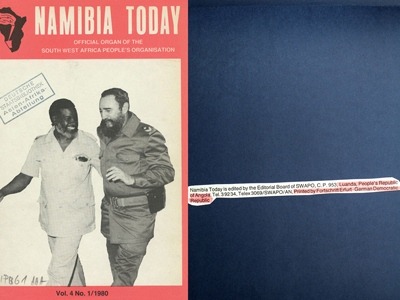 Its editorial board was based in exile in Luanda, Angola. 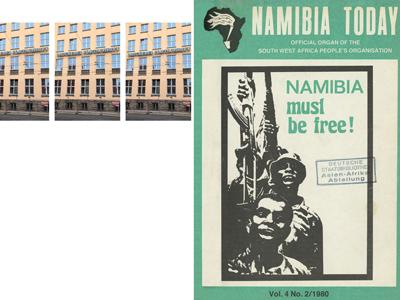 The artist has produced 18 billboards inspired by the journal. 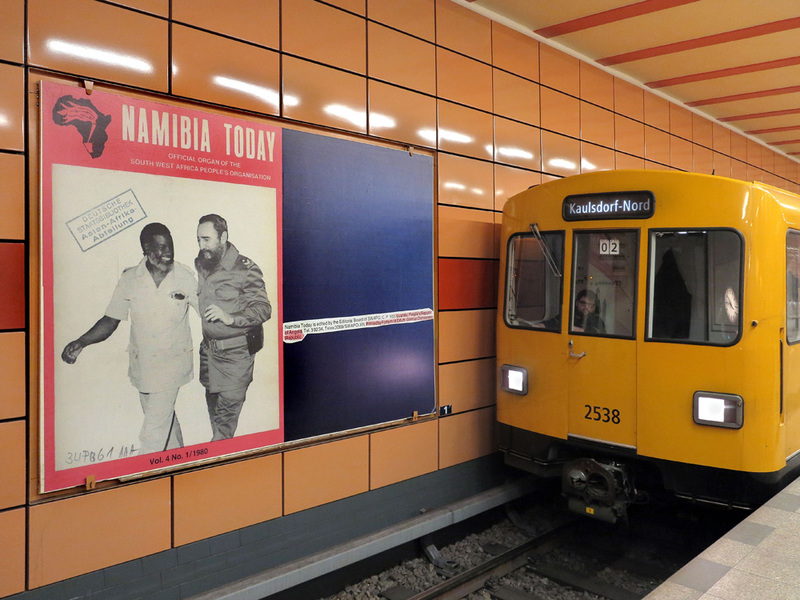 The posters have been partly printed by Fortschritt’s successor, Druckhaus Gera. The posters each combine a front page from Namibia Today with collaged material about the journal’s history in the GDR. 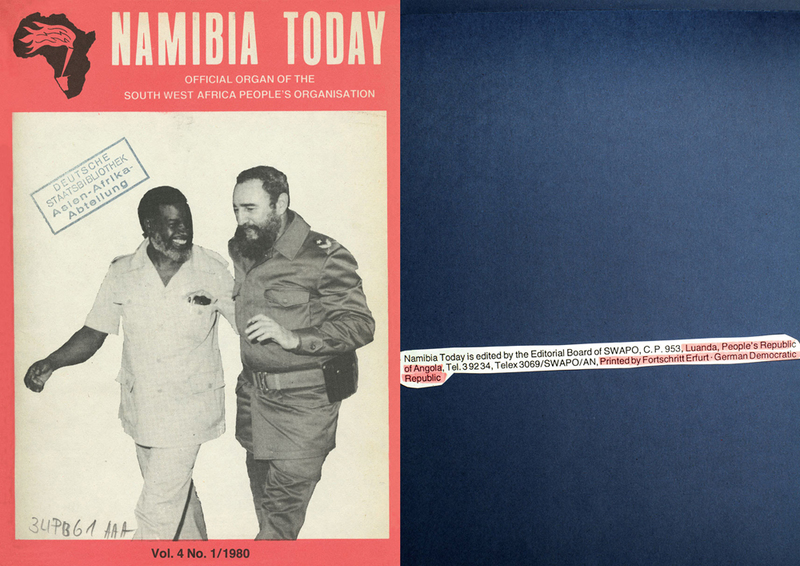 Since the journal remains largely unresearched, a number of the images are brought together associatively. 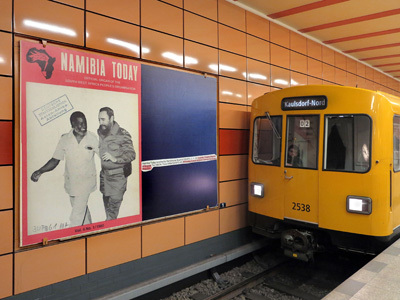 Schillingstraße Underground Station is on the U5 line which runs through former East Berlin and is currently being extended into the ‘West’. 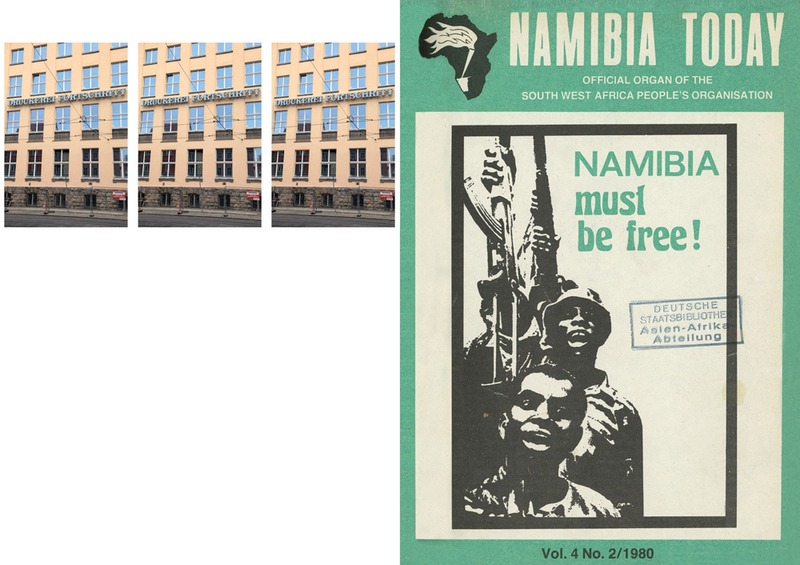 Here the artist recalls the complexity of the solidarity movements and policies in the GDR. 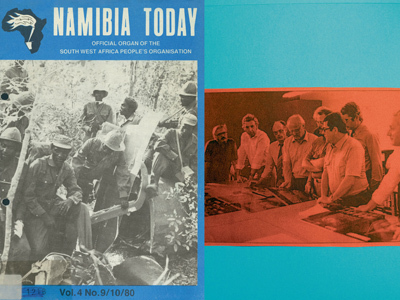 The title Namibia Today also evokes further associations that recall the colonial history of German South-West Africa (1884–1915) as well as the ongoing negotiations about the German genocide of the Herero and Nama peoples (1904–08). 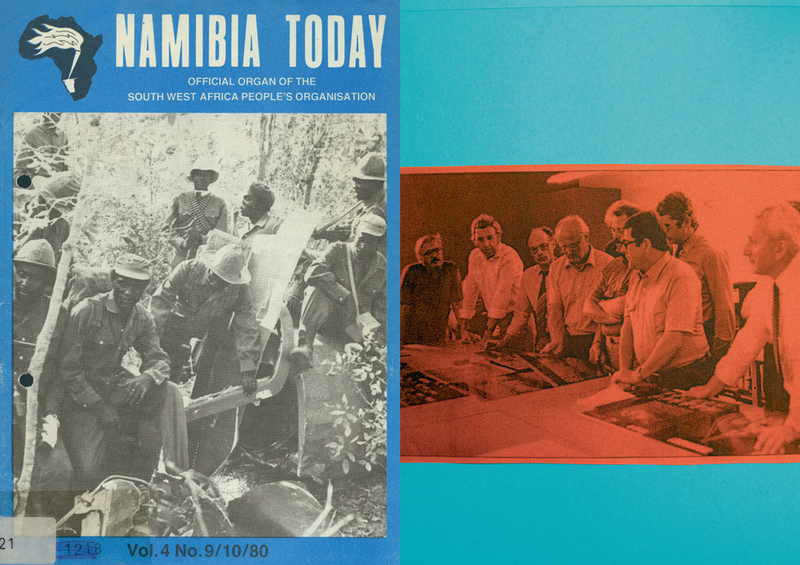 What is Namibia today – seen from current perspectives regarding the past?